Three essayists sentenced to prison have refused to appeal due to the unfair conduct of their trial. Three Tibetan writers, who were ordered jailed for "incitement to split the nation," have been moved to a prison complex in preparation for hard labor after they refused to appeal against the conviction, sources said. Jangtse Donkho, Buddha, and Kalsang Jinpa had 15 days to appeal after they were handed jail terms of three to four years on Dec. 30 by the Aba (in Tibetan, Ngaba) Intermediate People's Court. The sentences were handed down without any representations by the defendants or their family or legal counsel. The judge who heard the case said orders to punish the writers, all in their early 30s, came from "higher authorities," the sources told RFA. The trio, all from the Ngaba Tibetan Autonomous Prefecture in China's southwestern Sichuan province were "recently moved from Bakham detention Center in Ngaba to Mian Yang jail in Sichuan," a source told RFA. All three "agreed not to appeal,” said another source, speaking from inside Tibet. "They argued that their appeal would have no effect after they saw the unfair conduct of the trial." “We have also learned that the judge who sentenced them to jail confessed that the local officials could not do anything about their case when it had already been decided by the higher authorities,” added the source. The three writers were first detained in June and July 2010, and were charged primarily because of powerful essays they wrote about the bloody 2008 Tibetan protests in a local newsletter, Shar Dungri (Eastern Snow Mountain). Each of the men pleaded not guilty during the trial, which lasted half a day. According to sources, the judge who presided at the brief trial said that their writings against the government in Shar Dongri were the "primary reason" for the conviction. Another reason cited was "the high recognition given to the Shar Dongri" by those outside Tibet "as the second battleground" in the wake of the 2008 Tibetan protests,” the source inside Tibet said. Jangtse Donkho and Buddha were given a four-year jail term while Kalsang Jinpa was sentenced to three years. Many Tibetans have chafed for years under Chinese rule, which they say has eroded their national culture and curbed their freedom to practice Buddhism. 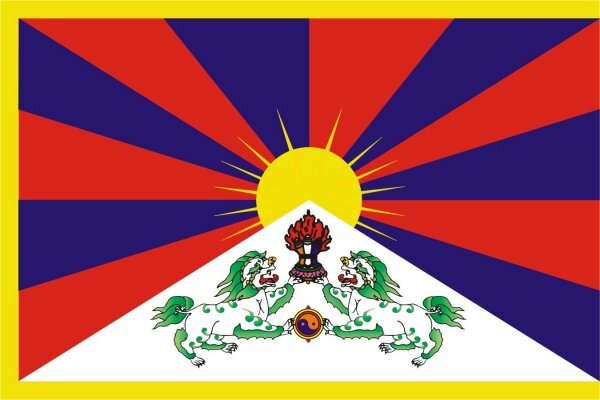 Rioting rocked Lhasa, the administrative capital of the Tibet Autonomous Region, Tibet's capital Lhasa in March 2008 and protests spread to Tibetan-populated regions of western China, causing official embarrassment ahead of the August 2008 Beijing Olympics. The India-based Tibetan government-in-exile estimates that at least 220 Tibetans were killed, with another 7,000 detained, in the subsequent region-wide crackdown.